Maxistorm Janitorial Services LLC is based in Kent, Washington state We are licensed, insured and Bonded. Maxistorm provides high quality cleaning services for both commercial and residential markets. Maxistorm is able to provide these services through a dedicated team of employees who are professional and highly trained. This team arrives on site in official uniforms (orange shirts and badges) for safety and security. We serve clients in most of King County and Northern Pierce County. Our main clients are commercial offices that we service after their office hours. We also have clients on weekly and monthly cleaning programs such as clinics and hotels. For hard floor maintenance we operate both a high-speed buffer for burnishing, and low speed buffer for striping and waxing jobs. RX 20 we use for commercial jobs. Roto Vac we use in most residential jobs. We operate our own machine. The machine will clean all kinds of blinds, vent filters, lamp features, artificial flowers and any other item that may need ultrasonic cleaning. Pressure Wash Machine: Upon request we also perform pressure washing services. We operate Back Pack Vacuum with HEPA filter which are ideal for vent cleaning. Great for edging, tight corners under furniture, it is also healthy for our employees since it does not blow dust. Or Kirby vacuum ideal for large floor work. Maxistorm Janitorial Services uses Green Seal Certified Brands and supplies from West Coast Paper Co and Coast Wide Laboratories. We train our staff on safety issues by requiring them to wear non-skid boots and also make sure they close the exit doors facilities as they clean. First-Aid, cleaning and handling blood borne pathogens is also a requirement for our employees. While cleaning places with activity we always make sure the areas are well marked with wet signs for the safety of anybody in the facility. We may use wet signs on the floor or door wets signs. For outdoor cleaning our staff wears safety jackets. Caution tape is used when doing major floor maintenance projects. Maxistorm has adopted orange as it primary color which is also an added safety feature. 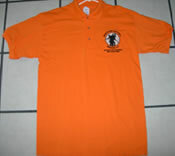 Our staff wears orange T-shirts, black pants and Photo ID badges. This is where we try to be different from our competitors. How? We encourage meetings with our customers to review budget plans that will suite both parties. Our rates are generally reviewed every 18 months and any changes are adjusted in the next contract. Sometimes there are no changes at all due to stable markets prices i.e. cost of supplies, cost of labor and overheads.